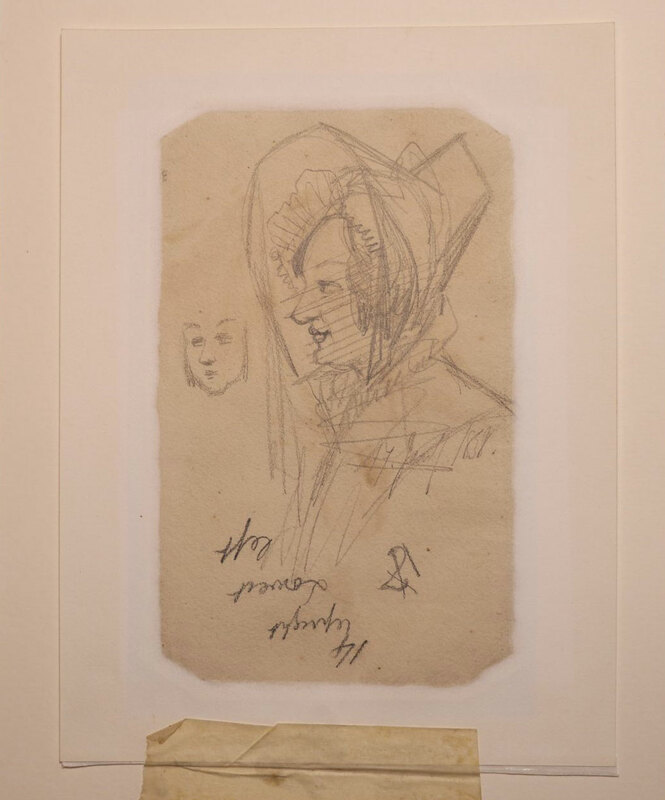 Edward Lear, Portrait of a lady in traditional Italian dress, seated with lake beyond [recto]; Head study and inscription in pencil [verso]. Watercolor over pencil. Dated Jan. 17th, 1838, unsigned. 227 x 140 mm. (8.75″ x 5.5″), inscribed verso “14/ upright/ Lower/ left.” Corners trimmed by the artist, the sheet tipped at edges into paper support, matted. Previously sold at Sotheby’s London, The British Sale, March 21, 2001, lot 247. Lear left England in 1837 and travelled extensively. The present was likely executed while visiting Rome. 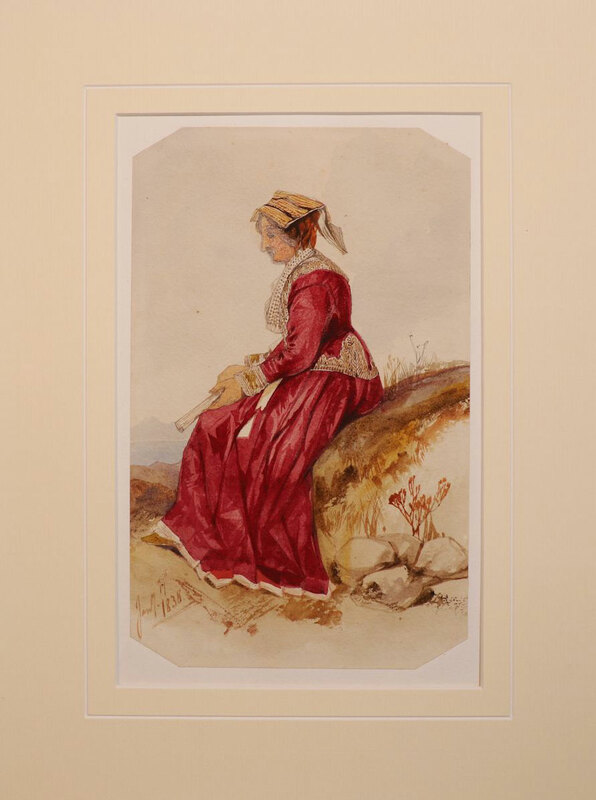 This entry was posted in Edward Lear and tagged Edward Lear, portraits, travel, watercolours. Bookmark the permalink.